In this Green Ray Beltane workshop Alphedia Arara facilitated channeling the ancient Celtic Energies of the Green Man of Nature, the Green Lady and the Goddess Methero to help you harness the healing vibrations of the Green Ray of nature. At the time of celebration, at the start of summer in the Celtic calendar, the Goddesses and the Green Man will aid you in opening your heart more fully to the Elemental Kingdom, the Nature Spirits, the trees and all the vibration of nature. Do you wish to feel more vitality in your life? Would you like to be more creative, feel excited and feel more alive? The green ray energies can help you do this. It is all around we just have to remember how to connect with it. In this workshop Alphedia Arara will lead you on a channelled guided chakra clearing meditation to help you connect deeper into Mother Earth and the Green Ray energies. This will energise and vitalise the speed you as a soul vibrate at here on Earth. You will receive an Ascension Sphere attunement with the Green Man and then the Green Lady to balance the energies within your system. This will open you up more psychically, tune you into the energies of the natural world more fully and remove any beliefs that stop you connecting with this ancient sacred earth energy. You will go on a guided meditation journey with the Deities to give you wisdom on the summer ahead for you supported by the tibetan singing bowls and drum energy. Many of you who will be drawn to this workshop hold ancient Druidic knowledge of the Celtic Lands and the Green Man energy says it is not time for this to return. He will lead you on sacred ceremony to reactive your Druid knowledge that you bring forward as a soul in this life time and to assist Mother Earth with her ascensions. 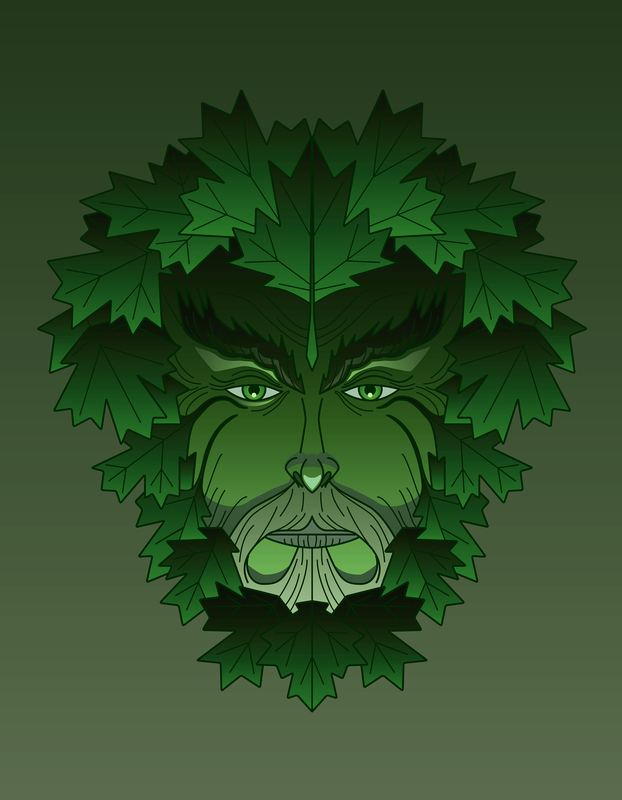 Using sacred incense, oils and ancient incantations you will work with the mighty Oak tree Spirits to reconnect you deeper to your past and your Celtic heritage now. Alphedia Arara is also attuned to Green Ray Reiki and will facilitate a group healing with the Green Ray reiki energies with you to bring you love, renewal and increased vitality. You will receive a personal message through an oracle card (including distance people) from the Nature Realm. “Greetings, it is an honour and a privilege to facilitate bringing more vitality into being to help you connect with the Plant Kingdom and the energy of vitality, regrowth and strength. It has been a long dark winter for many of you, but as the light returns you will start to find the vitality of earth returning deeply within your core and if you anchor and harness this it will clear away the cobwebs, clear away depression, lack of self worth and stagnation. We will be assisting you to bring more vital energy into your core central matrix and to help you ground, anchor and be present with the energies of the land that you are on. So even if you are in the southern hemisphere and are heading into winter you will still be able to connect with the vital energies stored deep within the earth to see you through your winter months.